Watch this. Then hit the jump. There are spoilers ahead. Paul McGann in the house! First of all, this minisode told the Doctor Who fandom so many things. In a cool turn of events, it informed us that the audio books McGann’s Eighth Doctor took part in were true canon. It also explained how John Hurt’s Doctor fits into the Doctor Who timeline, gave John Hurt a name (The War Doctor), and let us know that the Time War was well-known among sentient, space-traveling species. Honest to goodness, I have very few words of opinion that are actual real words. More like sounds and squeaks. It’s been interesting. I thought the seven-ish minute piece was amazing. It revealed a lot of information and used the most under-appreciated Doctor in canon to do it. This sets up The Day of the Doctor so well, and I think it was a brilliant move by the BBC and Steven Moffat to release this. 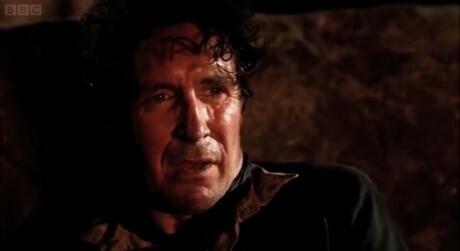 It also makes me want more minisodes of Paul McGann, and made me forgive him for the horrible movie he was in. Of course, assumptions and new questions have arisen too. Why was the Time War so well-known to those non-participants? Why did the Sisterhood of Karn take such unorthodox steps to help the Doctor? Is this the reason the original “12 regenerations” rule no longer applies to the Doctor? Why is Cass also not brought back to life? Can Moffat go one episode without being sexist? One thing is for certain, though: if you are a Whovian, you should watch it. 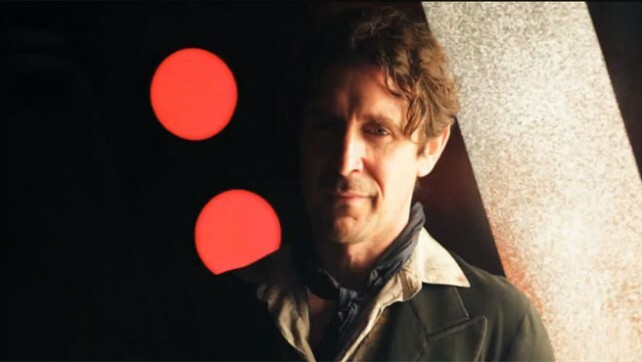 This entry was posted in Doctor Who and tagged blackout, blackout31, day of the doctor, doctor who, night of the doctor, paul mcgann, steven moffat by blackout31. Bookmark the permalink.